I had the honor and pleasure of being there for the official festivities, just this past Tuesday! You can read all about the launch and what it means here. I believe this to be a very positive move for the Macomb Daily and for our local community. The beauty of it all is that the audience gets a chance to participate! 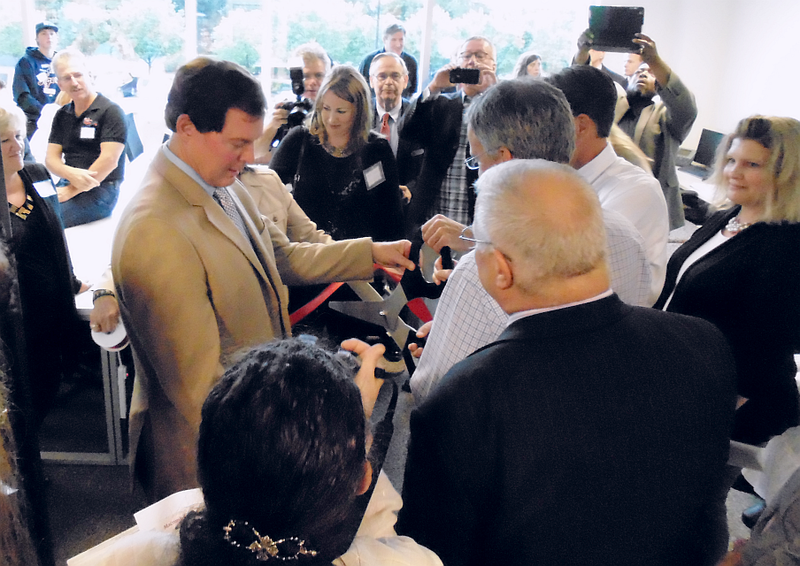 The ribbon-cutting ceremony which officially launched the Macomb Media Lab. Publisher Jim O'Rourke put it very well when he said, "You know, digital has been a big disruptor for our business, and some people can run from that or some people can rally behind it and make it the best period in business... that's how I look at it and that's how the team here looks at it." He goes on to say that it gives them an opportunity to engage more with their community as they expand their digital audience. I always appreciate a positive outlook! I agree with you that The Media Lab is a wonderful plus for our area. Now newbies (like me), and the tech savvy can learn and hone their digital skills.